William McIlvanney's 'Docherty', which won the 1975 Whitbread Award for Fiction, draws from his childhood in a mining community in Ayrshire. His motivation 'to try to give a voice to people who, in literature, did not have one' can be traced back to that experience. An acclaimed novelist, short story writer, poet and journalist, his first novel, 'Remedy is None', was published in 1966. William McIlvanney has the gift of bringing the demotic speech of the west of Scotland to life on the page, as in 'The Big Man' (1985). In 'Laidlaw' (1977), engrossing as it is in terms of plot and police procedure, Jack Laidlaw's investigations are also a device to probe Glasgow's complex social layers. Underlying the authentic evocation of place and people are themes that are universal rather than parochial. 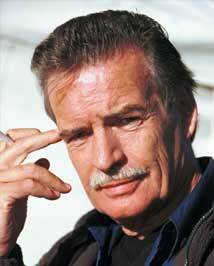 William McIlvanney once said of his father that you never quite knew what was going to happen when he came into a room. His many readers will be familiar with this sense of a fascinating equation that contains an intriguing unknown.